not sure what to do with this? Being a blogger is sometimes a strange business. The document I am sharing pertaining to development in East Whiteland and purported number of students that some developments old and new add to the Great Valley School District. It was left in my mailbox a couple of days ago. No note, no envelope. Now when it comes to experts and consultants, the voice of one of my favorite former Lower Merion Commissioners named Lew Gould comes to mind. He said one time when it came to a particular traffic study at the time that those who commission the studies gets what they pay for. I will also note that this letter ONLY ADDRESSES APARTMENTS. Not other kinds of developments. Not townhouses, not “carriage homes”, not single family homes. I think the numbers might creep up significantly? So I do not know what to think of this thing that was left for me. But I do not feel I am sharing anything privileged or illegal. As a matter of fact this is the type of information which would be shared with a municipality during a planning process. I belive this was left for me because I have been critical of the affect of new development on the school districts in Chester County, in this case this study pertains to Great Valley. Where I find this puzzling is it kind of runs contrary to some of what I have heard pertaining to the elementary schools in Great Valley School District and how crowded they are becoming. I have also heard the high school is incredibly crowded. My days with kids in any school district is done, and our son went to a charter school. I figure this letter is another good place to start a conversation. 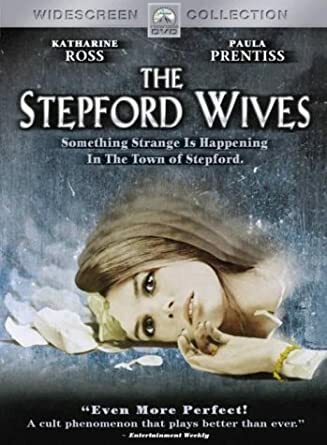 Sadly I am only half kidding about the Stepford of it all. We are becoming a place where people no longer say what town they are from. They reference where they live by development. Not by road, town, township, borough, or city. By development. Ok, so that is how you identify? That is your entire self-image? Your development or subdivision defines who you are? Every time someone does that, I pause. I can’t keep track of ALL of the developments, especially in Chester County, can you? 99 Church Road in Malvern was sold off to become “Great Valley Crossing” a Toll Brothers Community. Here is the Toll site: Great Valley Crossing. The date title of this screenshot was 5/14/14, so I don’t know if that is 100% accurate or the date I saved the screen shot. What I do know is this screen shot was from Supervisors’ Meeting Minutes before Mott stepped down. Heaven starts at $649K++. Choose from four models with jumped up, preposterous names. Oh the “model” names. It’s like you are buying a car. So not only will you be identified only by the development you buy into, but will be known by your house model. Where is the “Tara” model??? Relaxed atmosphere of “country living”? Oh.Come.On. 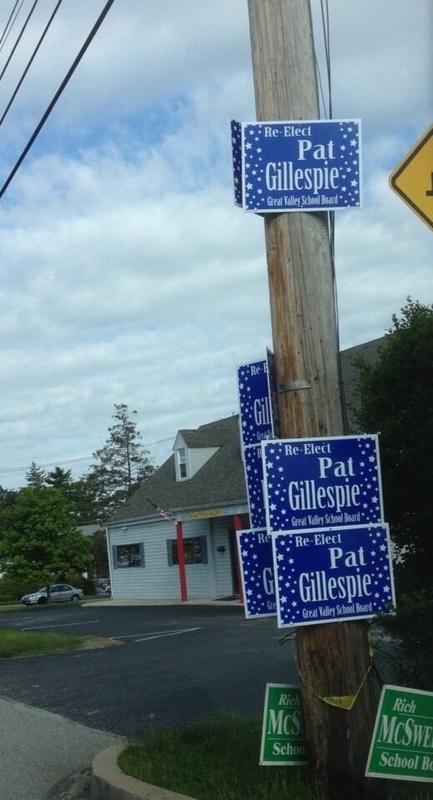 Have these marketing geniuses sat in traffic in Chester County lately?? Sadly, it’s less like country living and often more like King of Prussia mall traffic at rush hour. You can’t even garden the way you want to in a lot of these new developments. It’s all controlled and maybe soon the husbands can rejoice that out here in New Stepford, the developments will define wifely attire too? And as THIS development goes up and others are in the pipeline, for how many years will the Great Valley School District remain “award-winning”? Hows about we try “over-crowded” on for size? And speaking of marketing, East Whiteland is marketing itself as “The Heart of The Great Valley”. How much of the ACTUAL Great Valley is still left? Great Valley has gone from having fascinating and important history with regard to this great nation to being a series of corporate centers, strip malls, and developments. Speaking of history, I discovered this really cool report on the PA Historical and Museum Commission website. It is called The Great Valley Historical Agricultural Region, 1750-1960. This is another 41.50 acres of open space/farmland that will never, ever come back. And as per a comment on a blog post from 2016, the development’s “open space” is actually unusable flood plain land, apparently? So these houses are clustered on what land can actually be developed? And what will the “roads” of this development look like? Will they be wide enough? 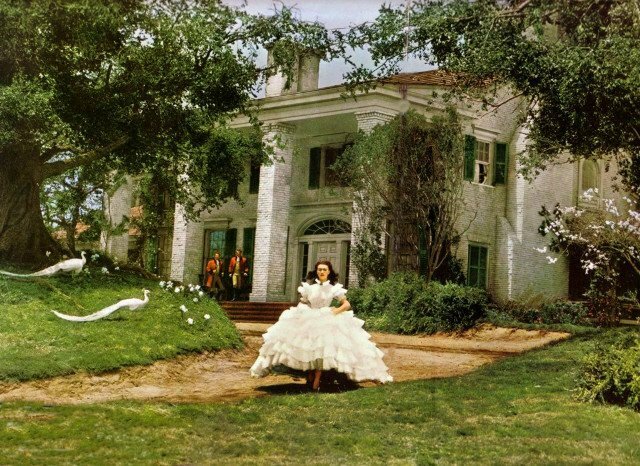 I will ask again, and keep asking: Chester County residents, do you want the entire county to look like this? Didn’t some of you move out here to escape this in the first place? development bug growing? wake up great valley school district and residents before it’s too late…. File under who bought the farm? Yes. Development whining shall now commence. If you don’t like it, move off of the page now. 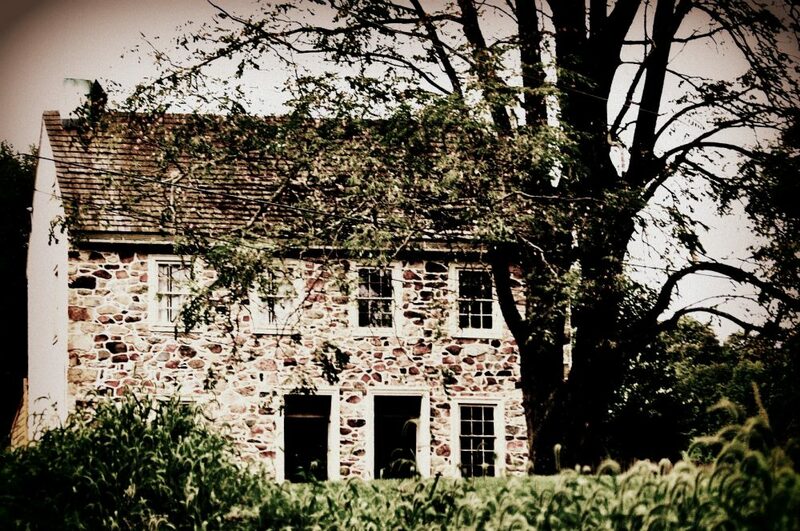 At present, it is a lovely swath of land on Monument in Willistown called Troutbeck Farm. However, as per Willistown’s Planning Commission Agenda for August 8, 2018 it is another parcel up for a cram plan. According to Willistown’s development list on their website it’s up for 35 homes on a 37 lot subdivision. You can CLICK HERE to check out the Willistown Development List. And I think much like East Goshen, Willistown records nothing so if you do not attend meetings, you don’t necessarily know what is going on do you? But anyway…. a lot of us wonder if Great Valley School District has Captain Oblivious at the helm because there is SO much development in various stages in this school district in Chester County. People always think it’s just East Whiteland, but multiple municipalities make up this district. And they all are little development islands in a bigger development sea in Chester County. And no, before all you school district cheerleaders jump all over me, I am NOT questioning how good the district is at present. I am questioning the school district’s perennial lack of interest in a topic which affects all of the families, taxpayers, and most importantly students: DEVELOPMENT WITHIN THE DISTRICT. According to Niche and Patch as of August 1, 2018, Great Valley is ranked 11th in the state. Think they’ll maintain that if the unchecked development continues? Haven’t they done eminent domain before in this district? How will they remain so good if the schools are so huge we’re ready for Great Valley East and Great Valley West? Are their school board members awake? Apparently this has been going on for a few years? Et voilà ! 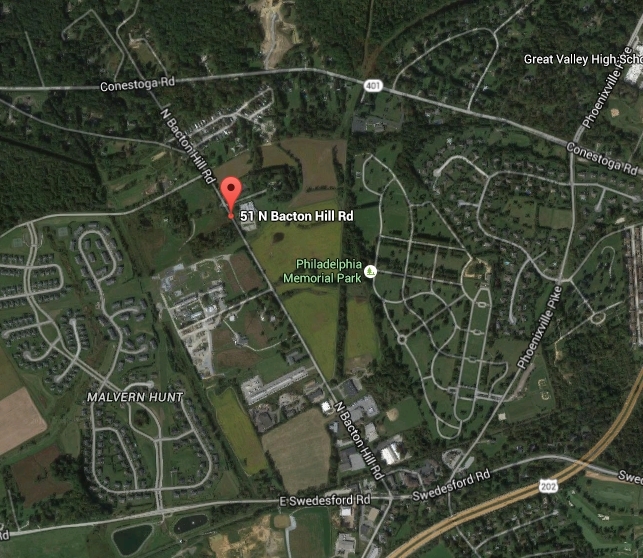 Another development is born in Chester County. Don’t worry all livestock, horses, and crops will fit nicely on top of all of the Wegmans and Whole Foods Markets. And we don’t need open space. Just traffic, pollution, infrastructure woes, and over-population issues, stressed out first responders, and school districts busting at the seams. And what started all of this today? GMH Capital Partners has paid $3.2 million in two separate transactions to buy several properties along Route 30 in Frazer, Pa., for a proposed mixed-use development. The Newtown Square, Pa., real estate company assembled and bought the parcels as part of its plans to develop a four-story apartment building with retail space. Those plans have been going through the approval process in East Whiteland. Mind you, East Whiteland seems to love development that comes it’s way (just look at this 2017 list.) Not being mean, this township has earned it’s pro-development reputation, has it not? According to the article it’s the bowling alley, the trailer park next door, and the gas station. 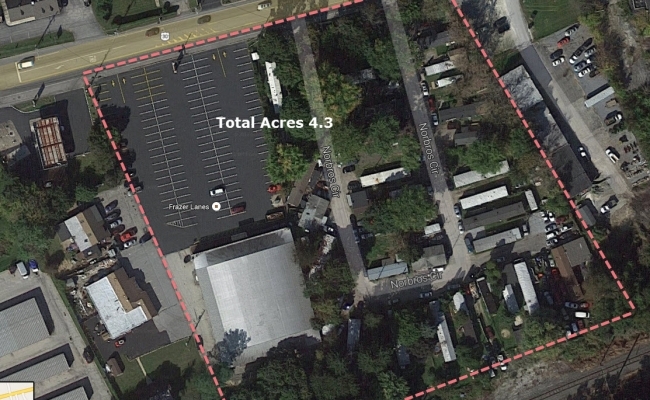 The gas station is 558 Lancaster Ave, Frazer Lanes I think was 554 Lancaster Ave, and the trailer park is Norbros Circle These properties were mention in the 2017 fall issued land assumptions report in East Whiteland. I think they are also somewhere in the Route 30 Corridor Study. Just yikes. But when it comes to this particular development can they build if the Alley Pub stays put? After all isn’t that in between Frazer Lanes and the Pioneer gas station? The cheese stands alone? Can they withstand a big developer and survive as long as they choose? Here’s hoping the Alley Pub survives, right? It is after all the last of the old school joints in these parts isn’t it? Wrong. Not picking on any development or developer in general but all of these “onlys” ADD UP, don’t they? Soon there will not be one blade of grass left that is not planned for something. And all of these “onlys” do indeed affect school districts. That readers, is what I got on my soap box about. Every development adds up through multiple municipalities . This affects school districts. School districts affect taxes, so do you get the vicious cycle? Remember…is it not true a lot of things get pushed through local governments during holidays and the dog days of summer? We live in a world where we must sadly remain ever watchful…and involved. I don’t know what else to call this post other than the address. If you go on Bacton Hill Road, we all pass it. It is after the walking/running trail breaks over the road and it is farther up on the right. It’s a parcel of land owned by Great Valley School District. It’s up the road from where the Great Valley Community Organization calls home. On September 15, 2008, the school board voted and unanimously approved the purchase of 49.4 acres (200,000 m2) of land for approximately $6.6 million. Located at 51 Bacton Hill Road, Malvern, this “Bacton Hill Land Purchase” generated some controversy amongst the public for two reasons: (1) the purchase was not discussed with the public prior to the meeting during which it was first announced, voted, and passed, and (2) the purchase price based on two land appraisals was brought under scrutiny when it was discovered that the brother of the real estate agent who set the price was involved with forming both appraisals. Central to the controversy was the lack of public awareness, but also that the school board’s reason for the purchase was stated, “it is prudent to acquire real estate for the District’s potential future use.” The number of students educated by the district has not significantly increased, so many objected that there is no foreseeable “future use” and that the purchase was made in haste. The land is still held by the School District, and no confirmation or denial has officially been given. However, significant fallout appears to have occurred. Two weeks after the March 16 meeting, on April 1, Superintendent Rita Jones announced she intended to retire during the upcoming summer. In addition, all 4 board members who are up for re-election in the November 2009 election announced they would not seek re-election. Further, because Jack McDowell stepped down in April due to illness, only 4 of the 9 board members who were involved in the land deal were still on the board as of December. EAST WHITELAND — A resident announced he has delivered documents regarding the Great Valley School District’s controversial land purchase to the U.S. Attorney’s office in Philadelphia. Bruce Chambers, a member of the Great Valley Stakeholders and a candidate for school board, raised this issue regarding the Bacton Hill Road property at a mid-March meeting. “It is unconscionable that the school board would be willing to spend over $6 million of our tax dollars on a land deal that was handled in this manner,” Chambers said in interviews last week. 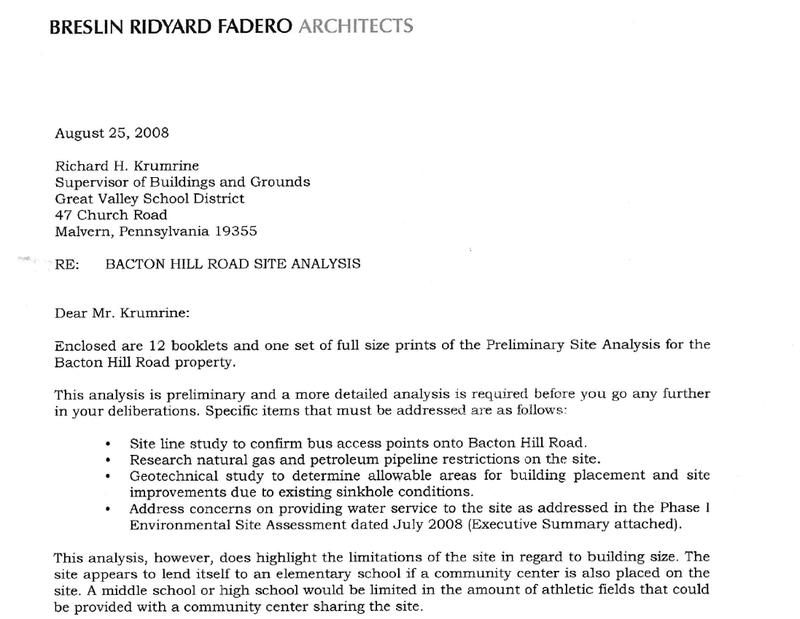 The school board announced that it had purchased the 49.4-acre property at 51 Bacton Hill Road at its Sept. 15, 2008 meeting. The property, owned by Highmont Investment LP, was purchased by the school district for $6.6 million. The board first disclosed that it had made a purchase at the Sept. 2, 2008 work session meeting. Chambers has taken issue with several aspects of the purchase, including that he believes the property was not properly assessed. In particular, he believes it’s a serious issue that the real estate agent for the school district had the property assessed by his brother, who is a licensed appraiser. A new contract at top dollar in Great Valley In a split vote, the school board OKd a $210,000 contract for its superintendent. Despite pleas from dozens of Great Valley School District residents saying that Superintendent Rita Jones was paid too much and has not produced a top-quality academic program, a lame-duck school board voted by a narrow margin Monday to extend her contract for four more years. About 150 people attended the meeting. The board vote was 5-4. Residents opposed to Jones’ new contract said that a 2006-07 salary listing they obtained from the Pennsylvania Department of Education shows she was the seventh highest paid in the state during the last school year. Jones’ current contract ends next year; the new one runs to August 2012. She is making about $204,000 this school year and will get just over $210,000 next August, with 3 percent increases in each subsequent year. Jones, 58, who just started her 14th year in the 4,000-student district, is the longest-serving superintendent in Chester County. Voting for the contract were board president Susanne Carr, Kevin McTear, Elizabeth McGarrigle, Katherine Pettiss and Melanie Scott. Voting no were vice president Nicholas Vastardis, Salwa Raven, Ralph Tang and Eugene Kozik…. Jones and the board sat at the front of the room, listening impassively. Superintendent, group leader share their views on issues at Great Valley The way the school board went about extending the contract of Rita Jones raised questions. The rift became very public on Sept. 17 when the Great Valley school board, by a 5-4 vote, extended Superintendent Rita Jones’ contract four years, despite a contingent of residents at the meeting who spoke out against Jones. Many district residents were incensed that the only notice of the vote on Jones’ extension was a posting on the district Web site on Sept. 14. About 20 residents formed Great Valley Stakeholders, a group organized with the goal of changing the direction of the school board. Members of the group helped spread the word of a write-in campaign for David Barratt, 45, to unseat the current board president, Susanne Carr (who voted in favor of Jones’ extension), who was running for reelection in Region I…. Using Tredyffrin-Easttown and Radnor School Districts for comparison, Chambers contends that spending per student is too high in Great Valley, and hasn’t resulted in a concurrent increase in test scores. “We’re not saying the district is horrible; it’s a good district, but when you look at what we’re spending per student, we’re not getting what other districts are getting,” said Chambers, 56, father of two Great Valley High School grads…. All of Chambers’ claims stem from his central complaint that the board works too closely with Jones and the district, rather than in the oversight role school boards are intended for by law. Two weeks after the March 16 meeting, on April 1, Superintendent Rita Jones announced she intended to retire during the upcoming summer. In addition, all 4 board members who are up for re-election in the November 2009 election announced they would not seek re-election. Further, because Jack McDowell stepped down in April due to illness, only 4 of the 9 board members who were involved in the land deal were still on the board as of December. I will note at this point that a lot of the articles that WERE online about these school district issues back then (including school board minutes) have disappeared off the Internet from their original sources. The GVSD has a couple of recent years of archived video recorded minutes but I have not checked them out because they use a non-supported plug-in. In May of 2009, The Daily Local ran an article about seven candidates running for Great Valley School Board seats. At the end of May 2009, Main Line Media News ran an article about a Great Valley School Board member stepping down. That even garnered a mention in a Charlestown Township newsletter back then. So flash forward to now and the school district is now selling this land? And supposedly at the same price per acre as they bought it? Really? Is that true? And this site is close to the old lethal Foote Mineral Site? Mind you Bacton Hill Road is no stranger to industrial stuff. See what I found on a Google cache. Bacton Hill is such a weird configuration of quasi industrial and industrial sites along with warehouses and such. If the school district land is what is being sold or is under consideration for selling to that Great Valley Community Organization, I think there should be like two phases of environmental impact audits, right? And if the Great Valley School District isn’t interested in further testing, in my humble opinion the Great Valley Community Organization should pay for testing. People have said there is some kind of report detailing past issues with railroads and chemicals and a pipeline company and clean outs across the road? Is any of this true? I am just concerned because well, you have to admit there are quite a few environmental hot spots around there. Sorry I have a thing about places that might leave people potentially glowing in the dark (figuratively speaking) . Look sorry to stir the pot, but if the Great Valley School District is going to sell this land to the Great Valley Community Organization, fine. BUT if there are going to be a lot of kids and so on around and active on this property would it hurt for the Great Valley School District to do some additional testing? (B) the whole land purchase was so steeped in issues and controversy why not make a clean break of it? Instead of (C) telling me and others “The school board did not deem any additional testing necessary after the follow up investigation and testing on the site”? We know so much more now how to be better stewards of the land and testing in a lot of cases is faster and improved so why not do it? Why not do things right this time? I am sorry but this is why people no matter where they live have issues with school districts. Everything is done like they are secret societies with their own language and secret handshakes yet we the taxpayers pay for it all? Look I appreciate the Great Valley School District sending me documents and answering questions but does anyone want to relive 2008 with the Great Valley School District? If the answer is “no”, how about some updated testing? Just to make sure that the amazing Great Valley Community Organization isn’t inheriting issues with this land that no one knows about? So many people have skeedaddled from the Great Valley School District since this land purchase happened on Bacton Hill Road, so why not better safe than sorry? After all even the current superintendent would have heard about this controversy considering she came from neighboring Phoenixville School District? And again, if the Great Valley School District doesn’t want to do the testing, the Great Valley Community Organization should strongly consider it. “This School Messenger is to inform you of an incident that occurred on our campus yesterday. I want to make sure you have accurate information and dispel any rumors you may have heard about the incident. There was an altercation between two male students in our high school. A single punch was thrown and one of those students was seriously hurt. The student was taken to the hospital by ambulance and was in serious condition. Today, the student’s condition has improved and he was receptive to a visit by Mr. Flick, our high school principal. Our prayers are with the student and his family. The health and safety of our students and staff is our top priority. The proper procedures and protocol were followed as outlined by School Board Policy 218. To dispel some rumors that have emerged, this was not a gang related situation nor was it a group beating of an individual. • Talk frequently with your children about what they are hearing and seeing on the news, at school or on social media. • Discuss with them the seriousness of spreading rumors or false information. • Encourage them to report any suspicious activity to a trusted adult at school, or to you. You may call your school administration directly. In the true spirit of Great Valley, students and faculty raised $450 today for the family of the student. This poor boy is 16. I am told that he and his family are new to this country? Is this how we, born of the land of the free, welcome new immigrants to our shores? Whose American Dream is this? I find extraordinarily troublesome that Great Valley went around in circles and didn’t address this within hours of the incident happening. This is something that you need to as a district get out in front of . That gives the appearance of trying to deny this incident even happened for two days and this boy no matter how it happened could have died couldn’t he have? On other Facebook pages there are parents talking about this quite a bit. Apparently this fight landed this boy into a coma and although he seems to be awake he’s on an oxygen tank and they’re waiting to see if there is brain damage and how would you like to be the mother? Sitting by your child’s bedside new to this country, and wondering what was going to happen? ….Selvin Cartagena was with a cousin and friend inside Great Valley High School around 8:30 a.m. Wednesday when the 17-year-old and his buddy got into an argument over headphones, the teen’s family said. The headphones, which belong to the friend, were supposedly damaged causing the argument. Cartagena’s mother said the argument escalated to violence with her son being punched in the face. The boy fell unconscious after the assault and could not be waked. 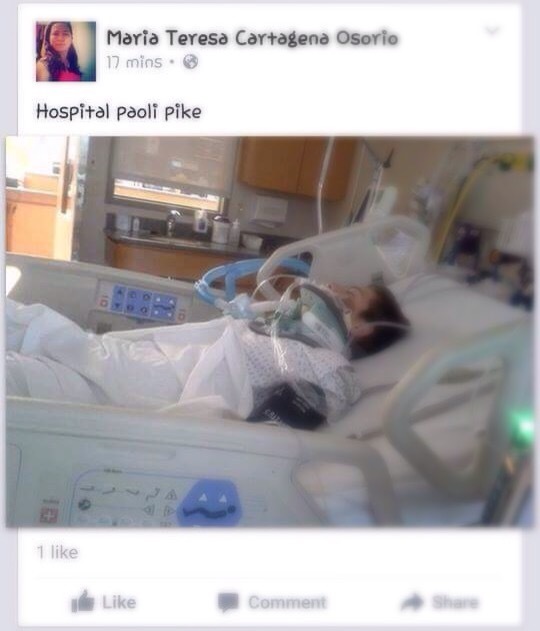 He was taken to Paoli Hospital and placed on a ventilator. The teen, who arrived in the U.S. from Guatemala last year and speaks little English, remained in the coma until Thursday afternoon when he was able to open his eyes and talk some. It’s not clear if he suffered permanent brain damage. I am hoping that a group like Latino Luncheon which meets in West Chester monthly will start a Go Fund Me page or something to raise funds for the family. This counts as a traumatic brain injury and as I have a friend who’s daughter is still recovering from one, I know that it takes a lot of therapy and a lot of doctors which equals a lot of money. I think you can safely say that there are a lot of parents out there in the school district who are upset that this was kept from them for two days, then there are the other parents who were upset because they’ve been aware of this along with their children for two days and no action was taken immediately by the district publicly. And then (sadly) there are the parents who said what did eveyone expect from Great Valley School District. I totally understand that it might take a bit to get a proper statement out, but this should have been at least acknowledged to the families of the district more quickly. Have they offered counseling at the high school? Can you imagine how upsetting this was for any teenager that witnessed it? So the early media reports and parents say East Whiteland Police are investigating and so on? What does the Chester county District Attorney’s Office have to say about this? See that’s the other thing, there is another child involved – the one who I would say probably accidentally caused this. Unless it is proven that this other child has a history of fighting in school this is a horrible accident and how do we deal with that as a society? If this was just a horrible accident, then I think we have to look to the mental health of the boy who threw the punch. I would guess the child is horribly upset and he might be 16 but that is still a child, so do you treat him like an adult or do you treat him like the kid that is? And how do you treat him? Do you get him into therapy and anger management or do you just lock kids up who do these things and throw away the key? I think you have to consider therapy and anger management and compassion all the way around. As a stepparent I can tell you I honestly would struggle with this if this happened to my child on either side of the incident. But as an adult I don’t want the lives of two kids ruined before they have lived their lives do you? Undoubtedly this is an isolated incident unless there are histories of fights going on in the high school that no one is aware of. But that doesn’t mean as a community we shouldn’t discuss this and be proactive so it doesn’t happen again. I am not a law-enforcement or educational professional so they will have to decide this. But I caution people that the court of public opinion is very important here. And have the responsibility as adults to show our kids the best paths in life possible. After all something like this could spark a stupid and an ill advised response from friends of these teens and their families so let’s come together and be proactive as a community, not reactive. Cool and thoughtful heads must prevail. So in my humble opinion that means you have to show them there are solutions to things in life other than using your fists or a weapon. And games and materialistic items shouldn’t have such a value that they translate into threatening human life. I don’t know how else to describe it. Violence only begets violence and somewhere along the way we have to hit the pause button as a society. And we also have to pay more attention, perhaps better attention to our kids. Being a teen or tween in today’s world is not easy. Emotions run high hormonally to begin with, setting any other influences aside. I have been thinking about tweens and teens a lot recently. It wasn’t prompted by this incident it was prompted by the untimely death of a young woman who had battled depression and addiction issues. This girl had a family who was totally behind her recovery and supportive and yet the unthinkable happened. Then earlier this year there was the suicide of the boy named Cayman. It’s not easy being a kid today. I’m not saying it was all easy and no problems with any of us were growing up, but it seems today it’s a lot more intense for lack of a better description. I see a lot of programs out there for very little kids to teach them not to bully and how to get along and how to talk to people, but once the kids hit tween and teen years I don’t hear about these things as much. Look I have a teenager I know it is like banging your head against the wall some days. They aren’t necessarily communicative and they think they know everything. But they don’t know everything and neither do we. But we are all on this bus called life together, and I think we all need to make more of an effort to figure it out. And I think we need to do a little more than the school district (Great Valley) has done thus far. Like it or not I think there need to be more programs in the schools, and sponsored by school districts, churches, YMCAS and so on. Call them teen summits or whatever you want, but the organizations that have the ability to put these programs together with mental health professionals, law-enforcement, and someone need to get on the ball around here. And parents and kids should be required to go. We need to facilitate more community conversations on this. We need to make sure that our kids have safe places to go to discuss problems. Maybe local PTAs and school booster associations could turn the focus to something like this. To me it has more value than pom-poms and school spirit buttons. From fist fights to cyber bullying to depression, additction, abuse, we need to talk about it and deal with it. TOGETHER. If any go fund me or similar pages pop-up to help this boy and his family with his upcoming medical costs please feel free to leave the link in a comment below this post. Thanks for stopping by and stay cool today it’s hot out there.